Are you a patriot? Then you’ll definitely want to take on this alphabetical challenge - all you have to do is arrange these Fourth of July words in alphabetical order. We’re sure it’ll be a piece of cake for you! 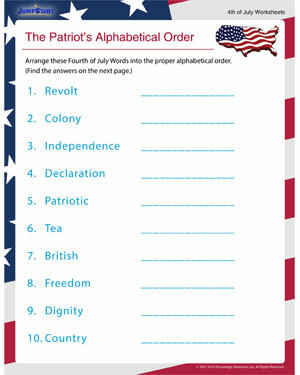 And when you’re done, try these cool printable Fourth of July resources for some extra fun.